29.3.2016: Nestle India announced the appointment of Rakesh Mohan as the independent non executive director. His name is recommended by nomination and remuneration committee and this was informed to the BSE by Nestle India. He will continue in this position from May 1st of this year to June 30, 2020. Rakesh Mohan is non executive director on board of Nestle since 2010. 29.3.2016: Zaheer Khan will be the captain of Delhi daredevils team in IPS 2016 season. Zaheer Khan who retired from international cricket a year ago joined the Delhi Daredevils franchise in 2015. He till now played seven IPL matches representing Delhi Daredevils. His claimed seven wickets in these seven matches. 29.3.2016: Russian Grand Master Sergey Karjakin won the FIDE world chess candidates tournament. He defeated Fabiano Caruana from America. Sergey Karjakin was the youngest to win the grandmaster title. He also won chess world cup 2015. Other titles he won are the World Rapid Chess Championship in 2012, Norway Chess Tournament and Corus Chess Tournament. 29.3.2016: Telecom Commission approved 112 as the single emergency number for India. The number 112 can be called in all emergency situations, it is said. All the Indian citizens can access this number even though the outgoing call facility is stopped on their landlines or SIMs. It is also possible to send an SMS to this number and get help from the nearest help center. 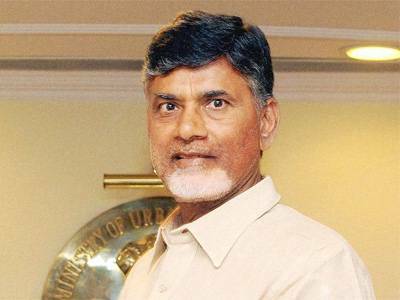 29.3.2016: Pattiseema Life Irrigation project which is completed in a record time of one year is dedicated to the people of Andhra Pradesh by chief minister Chandrababu Naidu. The project is located in Pattisseema village in West Godavari. All 24 pump sets were installed and the project is now functioning on full scale. The projects links Krishna and Godavari rivers. Farmers in Krishna and Guntur districts will get benefits from this project. Godavari flood waters will be used for stabilization of Krishna delta region. This entry was posted in Current Affairs, News on March 30, 2016 by Rakesh.